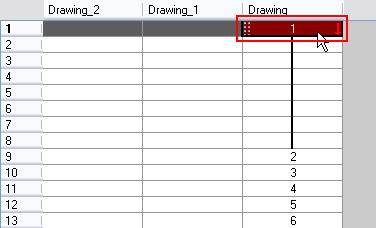 Another technique you can use to quickly increase or decrease the exposure of a selected drawing is by making use of the Increase/Decrease Exposure field available in the Xsheet view. 1. In the Xsheet view, select the cell to modify. 2. In the Xsheet’s bottom-right corner, increase or decrease the drawing’s exposure by clicking the up or down arrows. To increase the exposure, press [+]. To decrease the exposure, press [-].